Donald Verslycken, alias Don Ken (1958) is a Belgian painter. 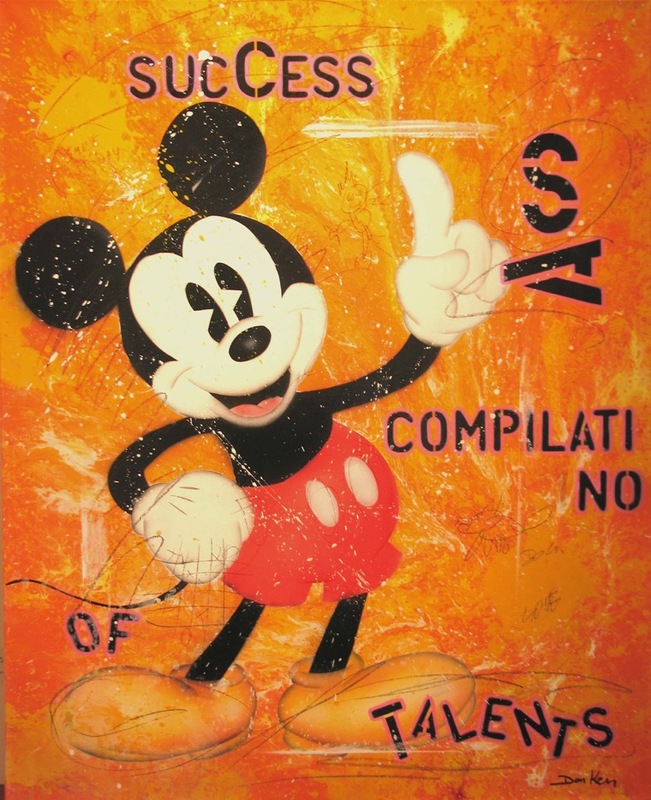 His work is playful and universal and shows clear pop art influences. At present Don Ken lives and works in Ostend. Don Ken received a photographer training. 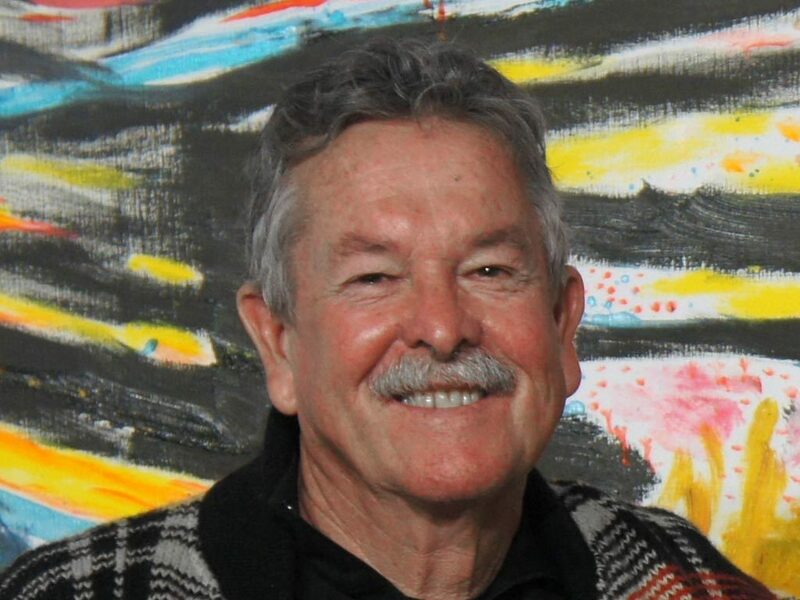 He became world-famous as a fashion and advertising photographer, but now mainly concentrates on his career as a painter. 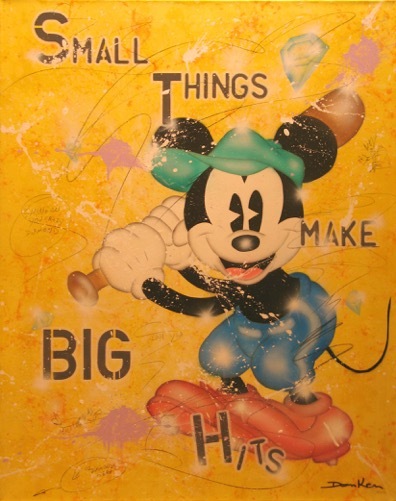 He is influenced by pop art and artists such as Andy Warhol, and incorporates Disney and Warner Bros figures in his work. That idea led to his great breakthrough. As in the beginning he worked without the consent of the Disney Studios, a lawsuit soon followed. After months of negotiations with Disney, however, he managed to make an exclusive agreement. Worldwide Don Ken is now practically the only artist who is allowed to integrate Mickey, Donald and all the other Disney figures in his work. Later on the artist made a similar agreement with Warner Bros for the reproduction of Looney Toones heroes such as Road Runner and Bugs Bunny. coloured background and adds sloganesque texts or quotes. The words do not necessarily directly refer to the main figure. Everybody, the painter as well as the spectator, interprets them in his own way. Intelligent guys have more fun, It never hurts to be nice or Here's looking at perfection may be interpreted as a hidden self-glorification or as a funny way of self-criticism, depending on one's personality. Handwritten remarks and even children's cribbles give the work an extra personal touch. It creates a fascinating duality between our western perception of icons such as Mickey Mouse on the one hand and the view of the artist on these figures on the other hand. In this way two worlds meet: the intangible world of a comic character that has become concrete and universal and the environment of the painter, who uses and depicts both the universal and the unique. Don Ken's playful and universal oeuvre mainly consists of paintings, but also of three-dimensional objects, installations and sculptures. With his unambiguous and positive message the artist now also breaks through internationally with exhibitions in Amsterdam, Paris, Milan, Singapore and New York.